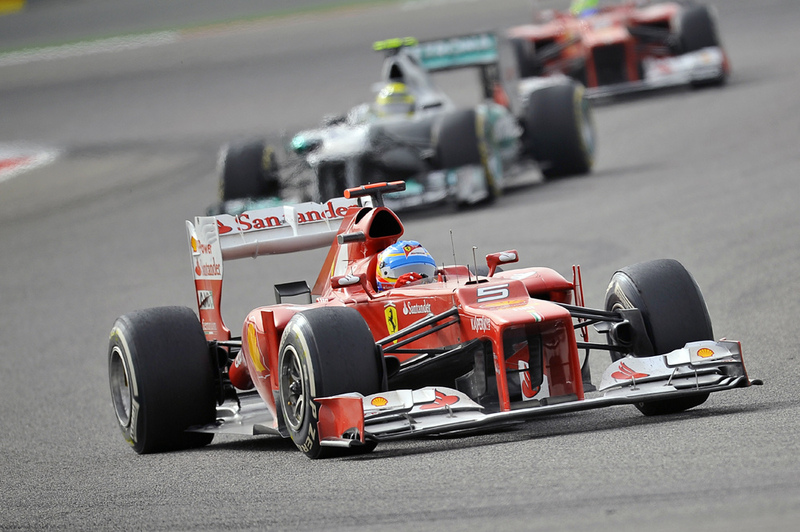 F1 isn't a sport which lends itself ordinarily to mutual appreciation. But, every once in a long while, we get a result that just about everyone is happy with. And today was one of those rare days, as Pastor Maldonado took an unlikely and immaculate win. And not only was this remarkable in itself, in so doing he took win number 114 for Williams Grand Prix Engineering; getting on for eight years since win 113. The wave of goodwill around the F1 family after Maldonado crossed the line in first place was palpable today. Many, including this author, feared that the next win for Williams would never come. The Brazilian Grand Prix in October 2004 was a long time ago, and despite the occasional ray of hope the decline since then for them seemed pretty much constant. 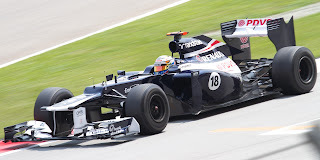 There was a common association with the likes of BRM and Tyrrell, former dominant teams who experienced a long, lingering downward path at the end of their existences. Turns out we were were worrying over nothing. Williams returned right back to where they belong today; even after the long wait there seemed something fitting about the team being atop the podium. And while the win was a surprise, it can't be denied that Williams has made a clear forward stride this year. The FW34 is a handy machine that produces plenty of downforce, and the team has been threatening this sort of big points haul all season. It now has 43 points this year after just five rounds. Compare and contrast this with the five points that the Grove team accumulated in the whole of 2011. And, unlike Sauber in Malaysia say, Williams went after this victory today. Having followed Alonso's Ferrari in second place for two stints the team seized the initiative by pitting Maldonado first, and the undercut worked beautifully, putting Maldonado into a lead he wasn't to lose (aside from further stops). Clearly the winner's instinct hasn't left the Grove team even in their barren years. Then there is Pastor Maldonado. Since he entered F1 at the start of last season he's been widely derided as merely a 'pay driver'. It was an assessment that paid scant regard to the fact that he entered the sport as GP2 champion, as well as that, despite the odd egregious error, he had a reasonable season of driving in 2011 all told. Well, today could well be the making of him. He drove like a man who had won F1 races habitually for years, being consistently fast and also smart throughout, keeping his tyres in good shape (in the end, more so than the chasing Alonso) and not making the slightest error that I saw. This was even so when running behind Fernando Alonso early on and later when Alonso was bearing down on him rapidly (surely one of the most testing situations any modern F1 driver will find themselves in). Maldonado was put to the ultimate test today and he responded magnificently. And today we may well have seen the most unlikely victor in F1's history. Looking back through the sport's past it's difficult to think of a win that represented more of a surprise, aside from a few that owed to rain or other freak occurrences. The only luck that Pastor had for today's race was Lewis Hamilton's enforced drop to the back of the grid. After that he needed no luck at all, and looked to be plain the quickest thing out there all day. It's odd that even as he lined up on pole position few talked of Pastor Maldonado as a potential victor, the assumption was that he would fade away. Instead, most looked to the Lotuses, and their much touted race pace, as favourites. It never quite happened for them today though, as the pace didn't manifest itself until the final race stint wherein Kimi Raikkonen in third place tore chunks out of the gap to the cars ahead, but he just ran out of time to improve on his place (it left you to wonder where exactly that pace was earlier). 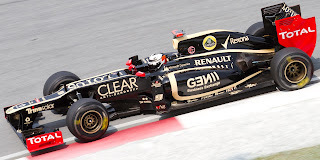 Romain Grosjean followed him home in P4. The Enstone squad, just as in Bahrain, may view this as one that got away. Still, the E20 looks as good as car as any out there and Kimi lurks but 12 points shy of the summit of the drivers' table. Still one to watch. Then there is the home favourite Fernando Alonso, who as mentioned pedaled hard and kept Maldonado fully honest today, but eventually had to give best. 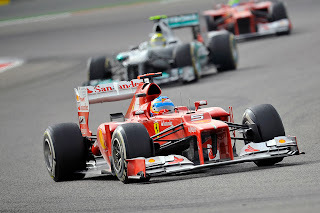 Still, second place is a great result for him and he now leads the championship table jointly with Sebastian Vettel. With more to come clearly from Maranello he is another who looks well-placed. And the expected Red Bull and McLaren race day charge never happened for a variety of reasons. None of them finished within a minute of Maldonado in the end. Of them, Vettel and Hamilton have genuine claims to bad luck stories. Vettel had a couple of major set-backs, enduring both a drive through penalty (for not slowing down in a yellow flag zone - a bit of a new one on me but one it seems that the FIA are pushing a bit more on in 2012) and then a front wing change (which was a bit mysterious but looked like it may be a result of structural issues - indeed, Webber had to make a similar in-race change). But despite all of this he still came home sixth, thus just holding onto his championship lead. And Lewis put in a fine drive in which he added tyre preservation to his considerable repertoire, being the only guy to stop just twice and at the same time looking racy and that his tyres were in good working order. This was rewarded with eighth place. It's yet another strong, and dare I say un-Lewis like, drive from him in 2012. Team mate Jenson Button extrapolated his frustrating time in Spain seen all weekend, and finished a subdued ninth. 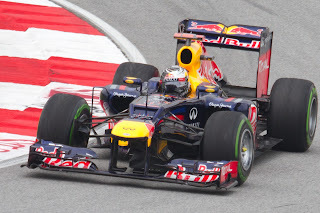 Mark Webber was similarly subdued and finished out of the points. And unfortunately for all concerned the sheen was taken off the day by a fire in the Williams garage shortly after the race, as the garage was packed with those celebrating. Facts are hard to establish at the time of writing, but what facts there are suggest that injuries are, mercifully, light. Let's hope we don't hear any bad news in the hours to come. Let's also hope that it doesn't end up taking away from what was a magnificent day for Williams, and for F1.